© 2011 Andrew Ferguson, Zen’s Chinese Heritage: The Masters and Their Teachings. 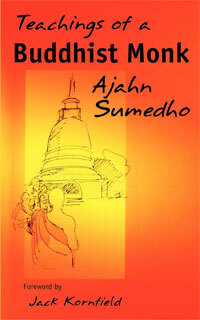 Upon hearing these words, Daju perceived his fundamental mind unobstructed by thinking. He ardently thanked and honored Mazu [for this instruction]. 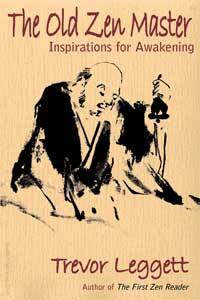 Zen master Great Pearl authored a text entitled Doctrine of the Vital Gate of Sudden Entry into the Way* that lays out an unusually detailed and concise explanation of how the “Southern” Zen school viewed itself and its practice of “sudden” enlightenment. Written in the form of questions and answers between a student and an unidentified Zen master, the text establishes meditation as the basic method for understanding the nature of the mind, and uses this context to clarify points of doctrinal confusion. Student: What is the method through which one may gain liberation? Teacher: There is only the “sudden” method by which one may gain liberation. Student: What is the “sudden” method? Teacher: “Sudden” is to suddenly forgo all delusive thoughts. “Enlightenment” is [to know that] no enlightenment can be attained. Student: How does one practice this? Teacher: It is practiced from what is fundamental [literally, from the “root”]. Student: How does one practice from the fundamental? Student: How does one know that mind is fundamental? Student: When a person practices the fundamental, what method do they use? 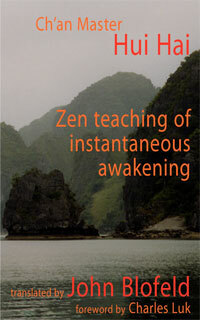 Teacher: Only Zen meditation [is this practice]. It is achieved through Zen samadhi. Student: “Form is emptiness” and “the mundane is sacred”. Are these things [realized through] sudden enlightenment? Student: What is [the meaning of] “form is emptiness.” What is [the meaning of] “the mundane is sacred”? Teacher: When the mind contains defilements, that is “form.” When the mind is undefiled that is “emptiness.” When the mind is polluted it is ordinary mind. When the mind is unpolluted then it is “sacred.” It is also said that because there is true emptiness therefore there is form. But because there is form, it does not follow that there is emptiness. What is now called emptiness, [means] the self-nature of form is empty. If there is no form, then emptiness [is also] extinguished. What we now call “form” is empty of self-nature. Form does not come from [the same] form [i.e. is not eternal]. The “paradox” in Zen is enhanced by a linguistic problem in passages such as the above. Part of the ambiguity and confusion surrounding ideas of “emptiness” arise from the fact that there is no clear distinction in Chinese between the adjective empty and the noun emptiness. The word kong has both or either implication. When the word is interpreted as “empty,” then the teaching on the emptiness of things may be interpreted to mean “things are empty of self nature.” This view conforms with the classical Zen Buddhist perspective that there is no underlying metaphysic in the nature of things. However, when the same word is interpreted as “emptiness,” a noun, then the interpretation “form is emptiness” leads those who hear or read the phrase to believe a metaphysical emptiness underlies form, and form itself is erroneously thought to have an idealist underpinning. Great Pearl avoids this pitfall by describing form and emptiness simply as qualities of thought. In this way, he avoids the pitfall of metaphysical interpretation and remains true to basic Zen teachings of the Bodhidharma line. Zen master Great Pearl speaks to the signless practice, the practice of the “third hall,” in the following exchange from the Compendium of Five Lamps. The Vinaya master was silent. The place of Zen master Great Pearl’s death is unknown. © 2011 Andrew Ferguson, Zen’s Chinese Heritage: The Masters and Their Teachings. Reprinted by arrangement with Wisdom Publications, Inc., wisdompubs.org. 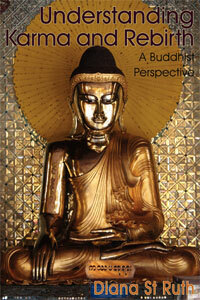 Read more extracts from Andrew Ferguson’s Zen’s Chinese Heritage.